Airways Aero Associations Ltd, trading as Booker Aviation has announced a change of ownership. The new owner, Helicopter Aircraft Holdings Ltd, has acquired all of the assets of Booker Aviation which includes the flying school, a Part M maintenance organisation and Wycombe Air Park operations. Helicopter Aircraft Holdings has a long history in General Aviation through its subsidiary company, Heli Air Ltd. This history involves running nine UK wide helicopter training bases together with airfield operations including Silverstone Heliport. Booker Aviation, having evolved from the former British Airways Flying Club, has delivered professional flying training, airfield management and aircraft engineering for nearly 50 years. 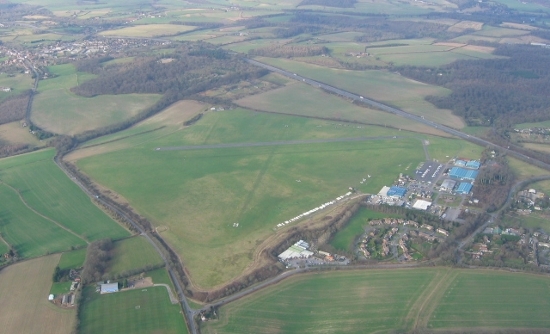 Management of Booker Aviation will continue under General Manager David Phillips and the intention is to grow Wycombe Air Park to become the premier business venue for General Aviation in the London area. The Air Park is undergoing a consultation period with current tenants, staff of the company, Wycombe District Council, and the local community all of whom have an interest in the future of the airfield and its unique history. Booker Aviation intends to conclude this consultation period within 6-8 weeks, and present the proposals to the concerned parties in order to move the airfield and business forward. The intention will be to expand and improve the facilities at the airfield to all areas of general aviation.